Looking for a men's shirt that's versatile and stylish but also durable and comfortable? This Men's Oatmeal Heather 3W760 OH Short Sleeve Henley Shirt is the perfect solution, pairing classic design with durability and comfort for on-the-job performance. It's made ... (see full details) (see specifications) #WRG3W760OH. Looking for a men's shirt that's versatile and stylish but also durable and comfortable? This Men's Oatmeal Heather 3W760 OH Short Sleeve Henley Shirt is the perfect solution, pairing classic design with durability and comfort for on-the-job performance. It's made to take the toughest working conditions and is ideal for casual wear, too. Crafted to work as hard as you do, you can rely on this durable work shirt day after day for comfort and performance. It is manufactured in a 7-ounce blend of 90% cotton and 10% polyester. That means it delivers the natural, breathable comfort of cotton with the durability of polyester. Its ideal for any season, perfect to wear alone or layered under other tops. Taped and vented side seams add comfort and durability, and triple-needle stitching means this shirt will last. Comfort and convenience define this hardworking men's top, with features that include a left chest pocket and utility loop plus a tagless label so you can forget the scratchy annoyance of label tags at your neck. The neck lies flat and features a taped neck seam, and a two-button placket delivers classic henley styling. The comfortable relaxed fit and short sleeves give you plenty of room to move without the restriction of other styles, and a straight bottom looks great tucked in or out. In oatmeal heather, this light-colored pullover with subtle shading will match anything you wear. Toss it on and you're ready to go. For a comfortable fit in a classic henley style that's made to last, add this Wrangler Riggs Men's Oatmeal Heather 3W760 OH Short Sleeve Henley Shirt to your workwear lineup. It's great for casual wear and we have plenty of colors for lots of variety. Order today right here at Working Person's Store! Good ol Henley, just have to love these upgraded tee shirts. Softer, thicker more of a spring and fall shirt here in the dirty south, but definitely a welcomed addition to my casual wardrobe. 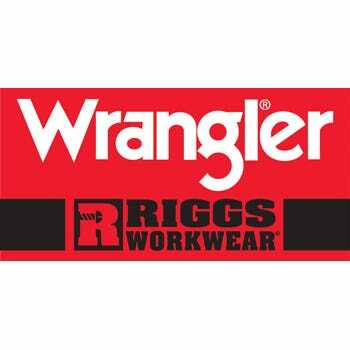 I try to buy US made and this Wrangler shirt is made in Pakistan which is the only negative I can find with this product. Oh, the hidden extra pocket thingy is great for actually keeping a pencil in the shirt pocket. I work outside everyday as a Carpenter and Farmer. Riggs has Carhartt beat hands down. Comfort,fit and quality. This might be a new model at working person's but have been rotating 5 of these shirts every work week for close to 3 yrs now. No issues. They just don't want to wear out. My husband has these shirts and they do wash and dry up really nice. Upon reading the previous review, I ordered one of each color of these shirts and I too have been very happy with them. These shirts are very comfortable and I've been wearing them over 10 years. I wouldn't keep buying them if they were not a very good product. I've always believed in "value received". I get more than my monies worth from the Riggs shirts. Wrangler Riggs Shirts: Men's Oatmeal Heather 3W760 OH Short Sleeve Henley Shirt is being added to your cart.